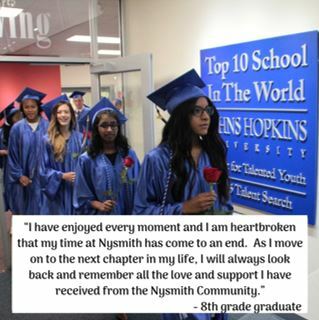 Beginning in 6th grade, Nysmith parents are invited to attend our annual High School Fair. 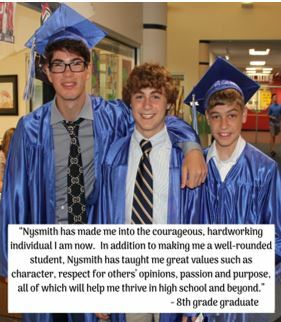 We regularly host over thirty independent high schools, ranging from East Coast boarding schools to a complete representation of private schools located in the Washington metropolitan area. 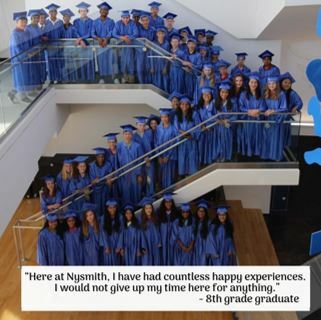 All Nysmith 7th grade students are offered an on-site SSAT prep course in order to prepare them for high school entrance testing. In 8th grade, our Administration oversees the high school application process and offers support and guidance throughout. Our graduates have a wide range of choices for high school, so we work together to help them find the place where they will continue to thrive.